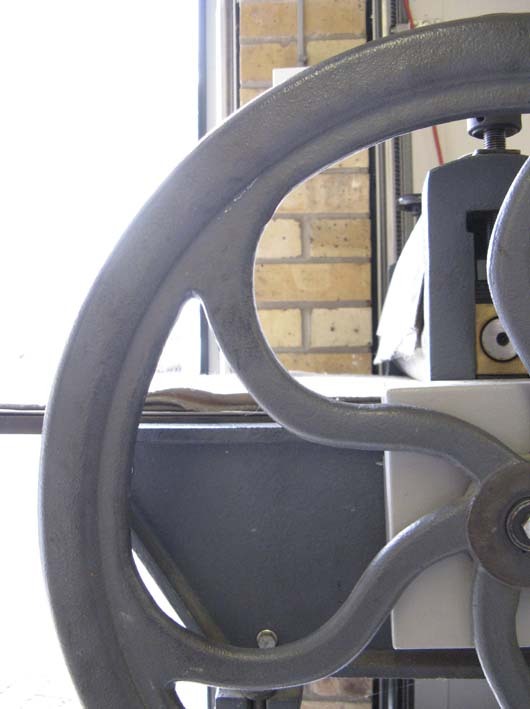 I've just updated the Printmaking link on the menu at the top of the page. It shows my prints, grouped by technique and subject matter, such as my Seed Heads range and my recent 'Pebbles' and 'Alfred Wallis' inspired scenes. The photo is a detail of my trusty etching press. 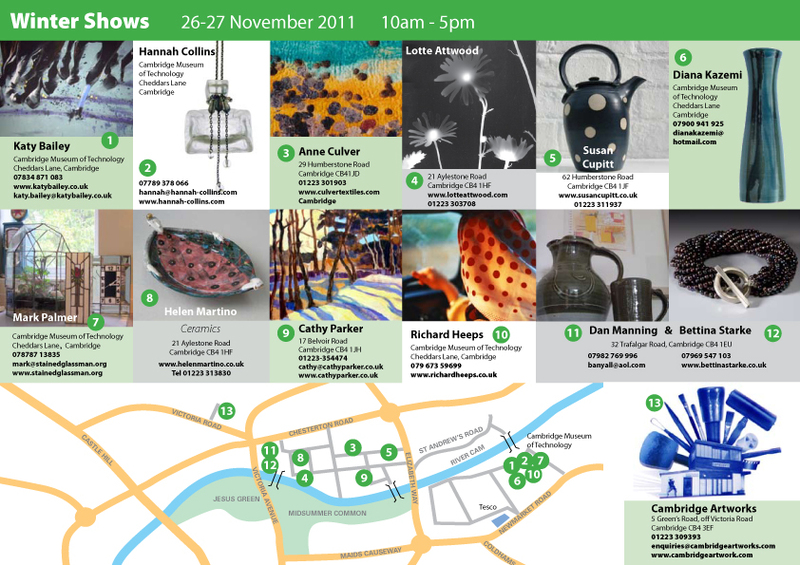 This is an art trail starting tomorrow, all very talented artists. I especially like the unique jewellery by Hannah Collins, who I exhibited with on Monday. The very talented Jo Tunmer has small oil paintings and perspex work on display at Cambridge Contemporary Art from Saturday 26th November until 24th December. 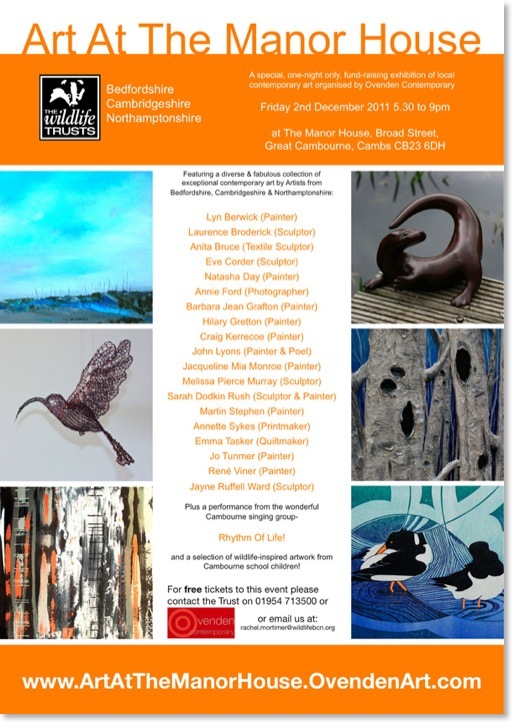 Jo also has a work in Art at the Manor House, Cambourne, in aid of the Wildlife Trust on Friday 2nd December from 5.30 until 9.30 pm. 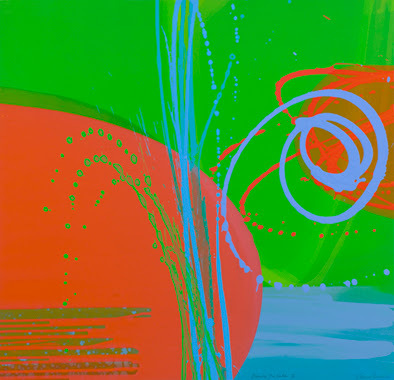 This also features the work of Barbara Grafton. 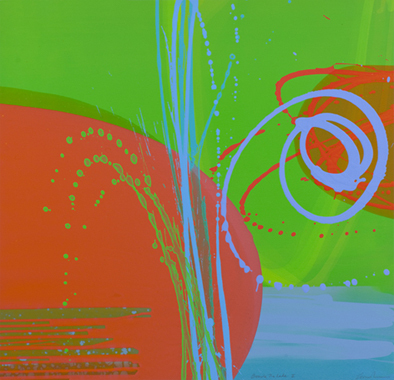 Printmaker Charlotte Cornish, a contemporary of mine from the Art Foundation Course of 1987 at CCAT, has work in two Cambridge Galleries. She has new etchings, (see the Prints page of her website), which are going to be exhibited at Cambridge Contemporary Art, from 26th November. They are priced at £250 unframed and between £350-£395 framed. Byard Art Gallery, has a selection of her paintings in their Christmas exhibition, 'Christmas Cracker', which also opens on 26th November. Art Unwrapped at the Babylon Gallery in Ely runs until 23rd December and has work on offer from over 30 local and regional makers. Prices range from £5 up to around £250. And include work by Amanda MacPhail, who also has her own Open Studios at the fantastic Wooden House in Cottenham. She is open on two weekends 26th and 27th November and December 3rd and 4th. From 11am to 6pm. Another brilliant ceramicist is Rachel Dormor. 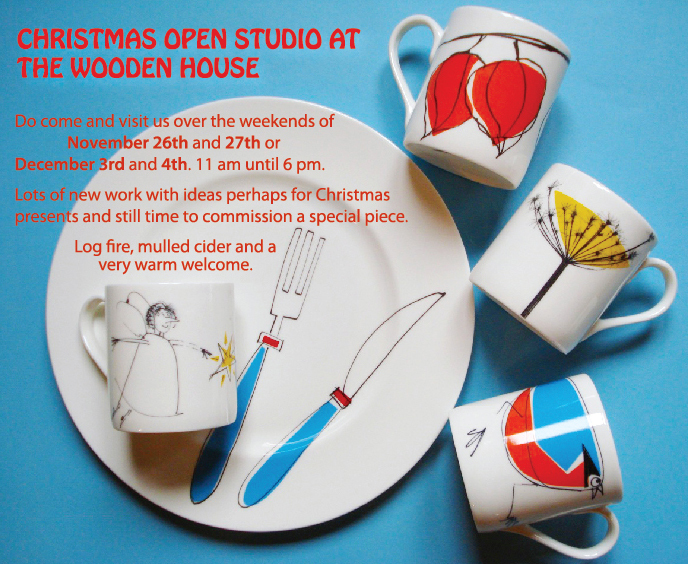 Her studio will be open on Saturday 26th and Sunday 27th November and 3rd and 4th December, 11am - 5pm. There is also jewellery by Bek Genery and decorations made by the Cyrenians Homeless peoples pottery project. 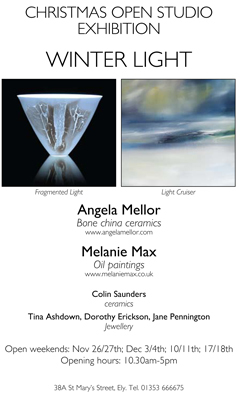 Painter, Melanie Max is showing at the Angela Mellor Gallery in Ely until the end of December. 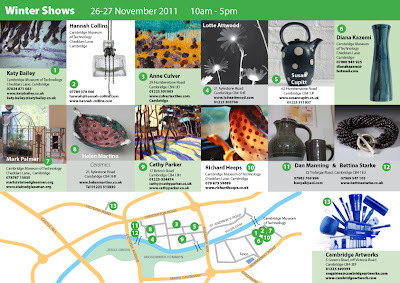 Along with three jewellers and two ceramicists. If you fancy a drive out to Steeple Morden, then do visit Anna Pye. I love her new lino cuts. Finally check out Mill Road Winter Fair, on Saturday 3rd December, 10:30am - 4:40pm. This is a lively mix of food, entertainment, craft stalls, art and music.